1 Naga tribal men perform a traditional dance during the Hornbill festival at the Kisama village in Nagaland, India. 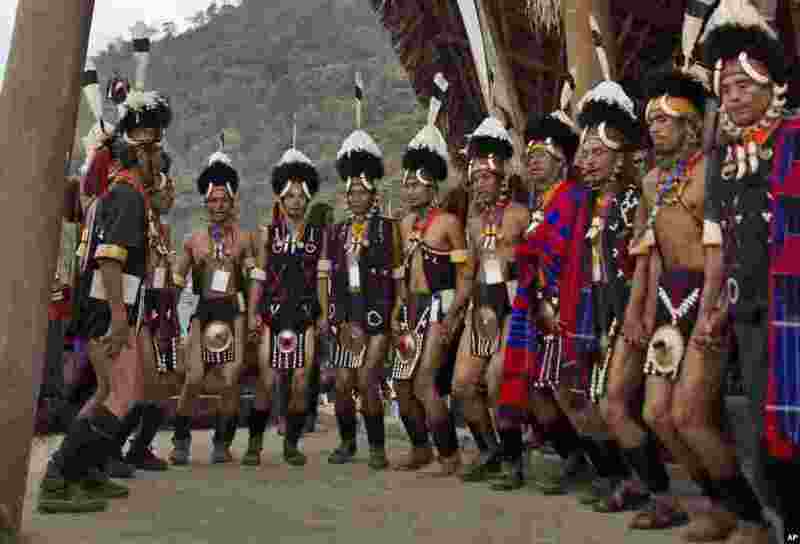 The 10-day long festival named after the Hornbill bird is one of the biggest festivals of India’s northeast that showcases the rich tradition and cultural heritage of the indigenous Nagas. 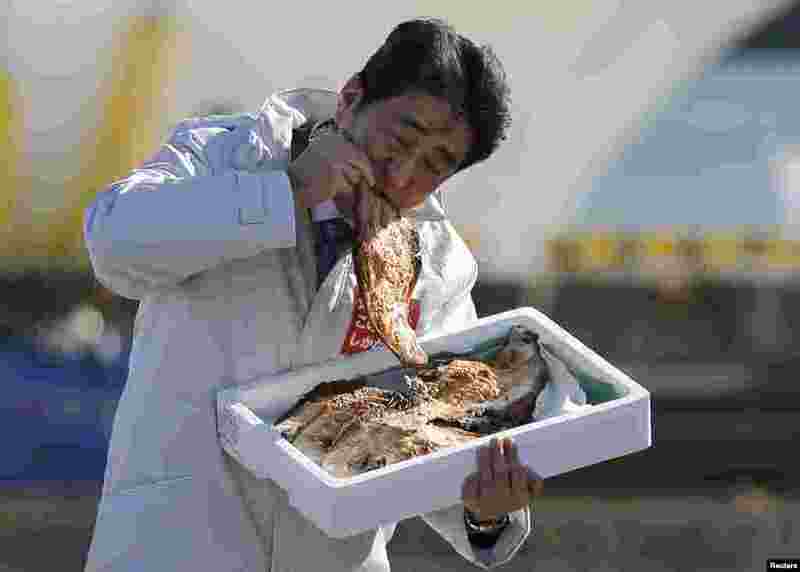 2 Japan's Prime Minister Shinzo Abe eats a local grilled fish during his official campaign kick-off for the Dec. 14 lower house election, at the Soma Haragama fishing port in Soma, Fukushima prefecture. 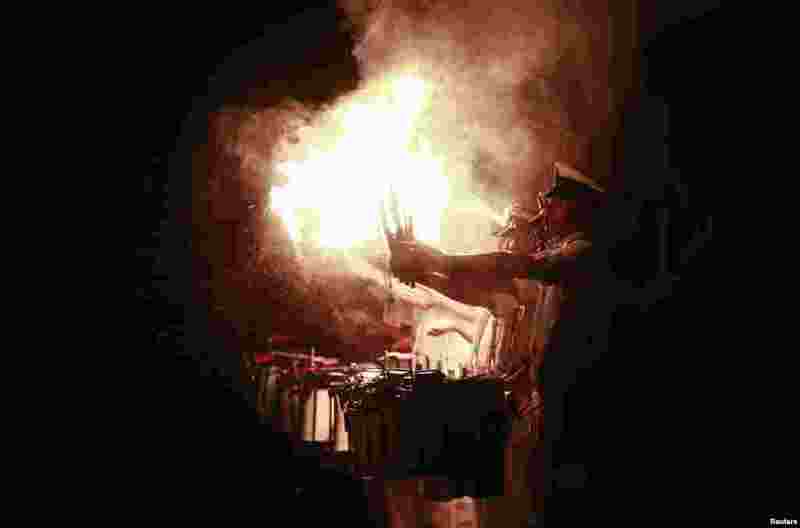 3 Indian Navy soldiers play drums during Navy Day celebrations in Mumbai, marking the battle at Karachi Harbor during the India-Pakistan war in 1971. 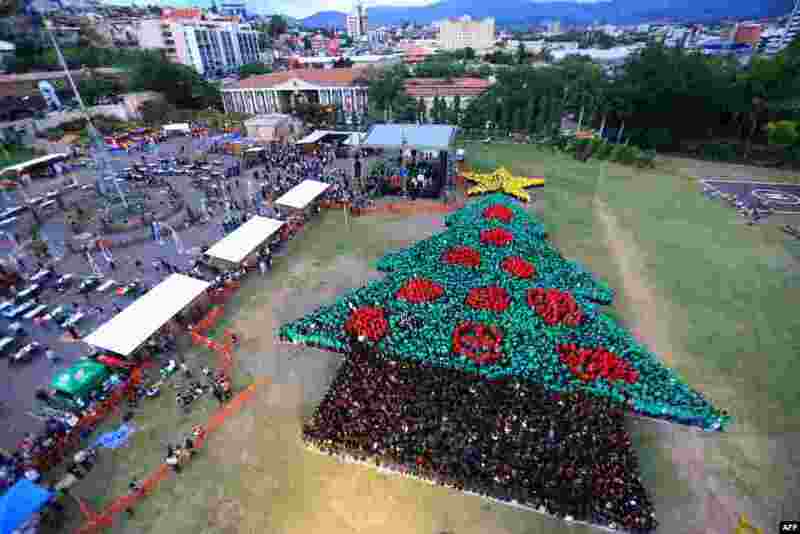 4 Handout picture released by the Honduran presidency showing the biggest human Christmas tree which set a new Guinness World Record at the Plaza La Democracia, in Tegucigalpa, Dec. 1, 2014.